Blogging is a strange thing. It's fairly anonymous. It allows me to go to amazing events and read amazing local books and write about them. But the one-on-one facetime is limited. On one hand, this is great for an introvert and overall socially awkward member of society like me. 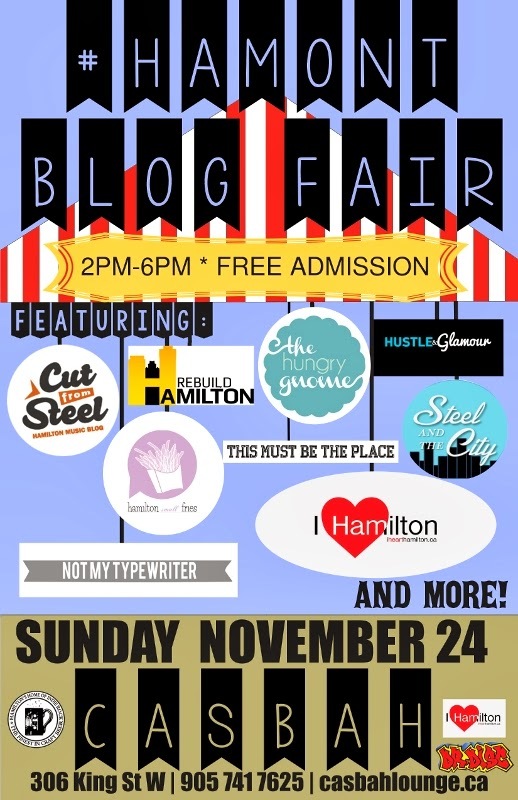 But on the other hand, it means rarely getting to interact (outside Twitter and other social media) with the many other fantastic bloggers Hamilton has to offer. 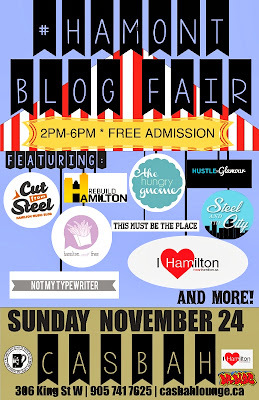 That's going to change on Sunday with the first #HamOnt Blog Fair, which I'm thrilled to be part of. Here are the details from the Facebook page. Hope to see you there! Come socialize, drink beer and cocktails, and get insight into the minds of those blogging about our ever-evolving city! Featuring a live performance by alt-electro-dance-rock duo Dear Rouge at 5PM! Also on hand — Jonny Blonde Food Truck! Sounds like a great event. I love having the opportunity to meet bloggers who I read. It is kind of weird the relationships you can form on the internet. So true! Yes, I think it's going to be fun. I'm excited!